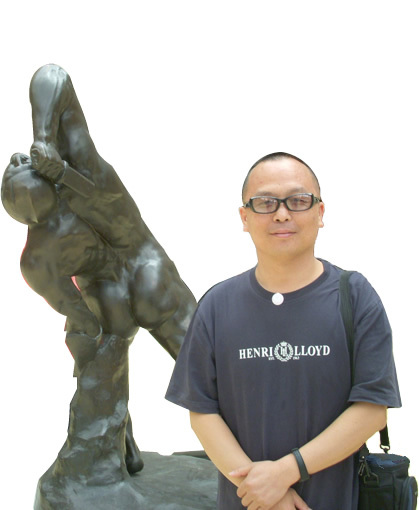 Start from 26 April, 2012 to 26 May, 2012, Taglialatella Galleries presents Mr.Sanzi's new works of Taoism in its Palm Beach branch gallery, Miami, FL. Sanzi's 2012 new paintings are shown together with some of Andy Warhol's works as well. Taglialatella Galleries(TG) has been a major force in the international art community for over 30 years starting in 1978 in Lambertville, New Jersey and then opening on Madison Avenue in New York City in 1981. In 1993, TG hosted an exhibition of Dutch period work by Van Gogh. In 2001 TG opened a 4000 sq. ft. ground level space in the heart of Chelsea, New York which serves as the headquarter. 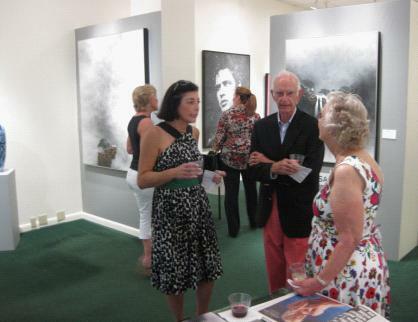 In 2008, TG opened a two level gallery space in the historic Via Bice just off world famous Worth Avenue in Palm Beach, Miami. In the autumn of 2010, Taglialatella Galleries launched its first European gallery in Paris, France. New locations are planned to open in Rome, Italy and Shanghai, China in 2012. In 2000, Taglialatella Galleries began focusing on Pop Art showing works by Warhol, Haring and Wesselmann and quickly became one of the most important Warhol dealers worldwide. Their collaborative artists include A. Warhol, Arman, R. Rauschenberg, K. Haring, R. Indiana, J.M. Basquiat, H. Frankenthaler, Christo, T. Wesselmann, J. Miro, P. Picasso, A. Katz, R. Lichtenstein, D. Hirst, and the CoBrA Group. In addition to our aforementioned masters, TG represents mid-career artists, such as Pierluigi De' Lutti, Rob Hay, Russell Young, James Feehan and one of the most notable Chinese artist Sanzi. In December 2011, TG held Sanzi's fist solo show in Basel Miami Beach Art Fair.